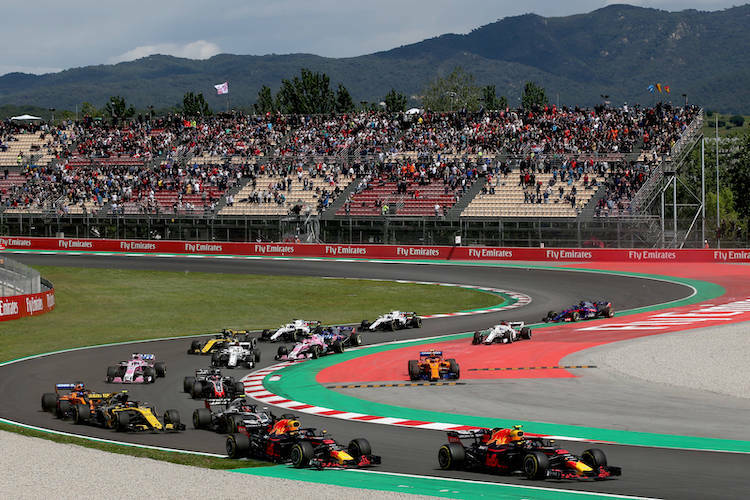 The 2019 Spanish Formula 1 Grand Prix will be held on 12th May at Circuit de Barcelona Catalunya in Barcelona. 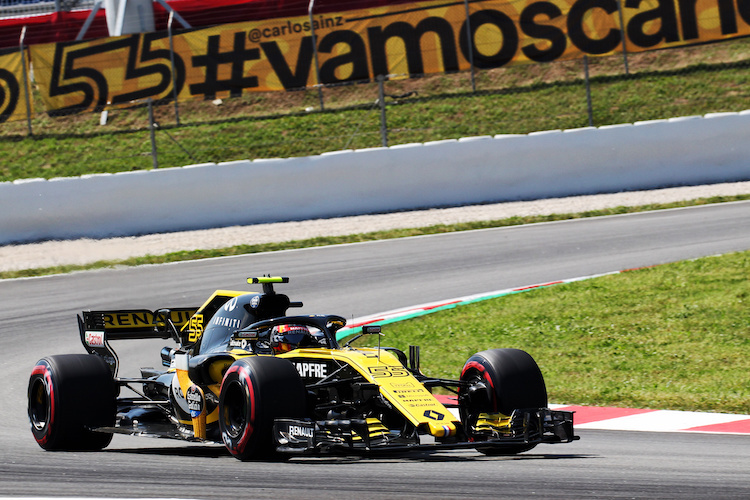 Tickets for the 2019 Spanish Grand Prix are on sale now and prices start from just £89 for a Sunday general admission pass and £201 for a grandstand seat for the race on Sunday. Tickets for the Grand Prix also include free general admission access to the circuit for F1 winter testing in late February 2019. A good part of the circuit is open to General Admission ticket holders with exemption of the stadium section, the start/finish straight and the corners between 10 and 12. Children under 12 have free entry to general admission areas and no ticket is required. Discounted tickets are available for children aged 12-18 years old. If you are looking to book 5 or more seats please drop us an email using the contact form as we may be able to obtain a discount. The best value seats are available in Grandstand N on the Campsa Corner. This is a 120 mph corner so provides spectacular views of the car’s downforce in action. This is also a keen spot for Alonso fans so be prepared for some passionate Spanish fans! Seating is numbered and a giant screen is in view. If you’re looking for one of the best overtaking spots you need Grandstand E. This is located on turn 1 so you can also enjoy the pit lane exit and the race for the lead from the start. You can also see turn 2 and 3 as well as views across the infield to turns 6 and 7. Seats are numbered and a giant screen is available. Children under 6 not occupying a seat have free access to the grandstand with a paying adult and no child ticket is required. Wheelchair accessible seating is available in both Main and G grandstands for the price of a general admission ticket. An accompanying adult must pay the full price of the grandstand ticket. Like many of the Grand Prix’s Spain is expected to hold a free pit walk on the Thursday between 4pm and 7pm, subject to confirmation. A great way to enjoy some of the best turns on the Barcelona circuit is to buy a 3-Corner ticket. This provides a reserved seat in Stand N on Friday, Stand E on Saturday, and Stand C on race day Sunday. 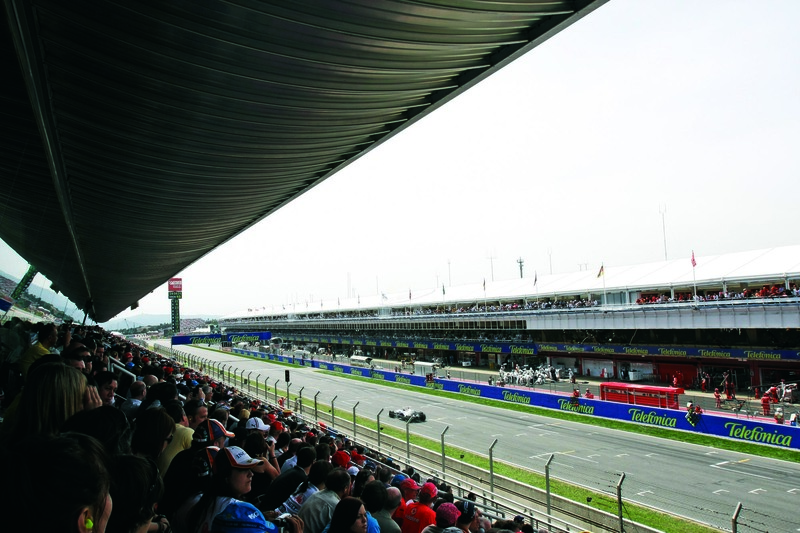 We’re in contact with a number of the Formula 1 Hospitality providers and F1 teams for the Spanish Grand Prix. Red Bull, Force India and Williams all have hospitality packages for 2019 If you want to enquire about available packages please contact us for the latest information and prices. The Piso box and Hospitality area above the pit garages at Barcelona provides great views of the race as well as views of the pit garages and paddock area. Saturday only Gold Suite 7 which is one of the best locations on the circuit only £450 per person. Children under 12 can enjoy free entry to General Admission areas and no tickets are required. Discounted general admission tickets are available for children aged between 12-18 years old. Senior citizens can buy tickets at 50% discount, these apply to spectators over 65 years old. 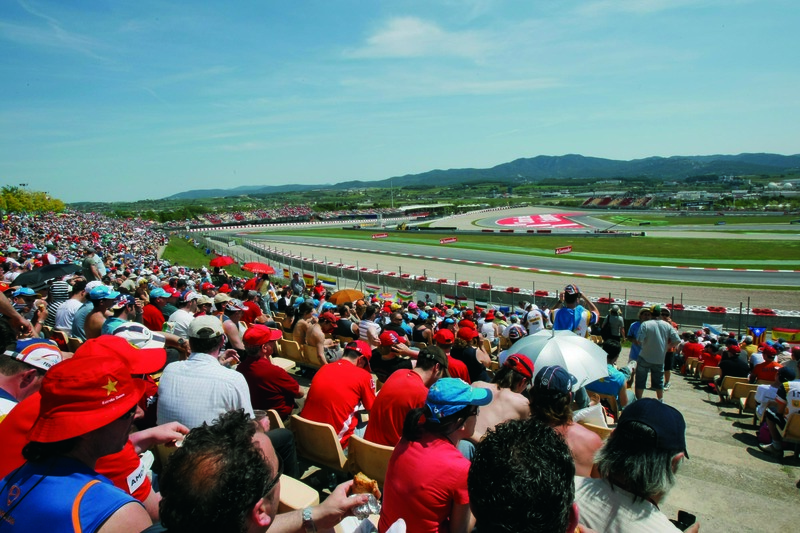 Alcohol Policy – Due to Spanish law, it is not possible to enter the circuit with alcohol, nor is it possible to purchase alcohol at the venue. I know unbelievable!! Friday is roving seat day, so all weekend ticket holders can sit in any available seat in any grandstand excluding Stand E and N ticket holders. I was wondering, if i ordered a Grandstand J ticket with 3 other guys; Am I then able to walk around the entire track, as if i ordered a Generel admission ticket? Hi Aleksander, That shouldn’t be a problem, as you walk round the General Admission area to get to your Grandstand. Although I’m not 100% of the circuit is open to view from General Admission areas. But you should certainly be able to walk round the circuit. Hi there, can you access areas such as the fan zone from any grandstand? And with general admission how do you get to the inside of the track? Is it via a tunnel or something? Thanks! Hi Matthew, If the Fan Zone is in the same place as last year you can walk round the outside of the circuit to behind the Main Grandstand (Start/Finish line). I don’t think you can get in the centre with general admission tickets.